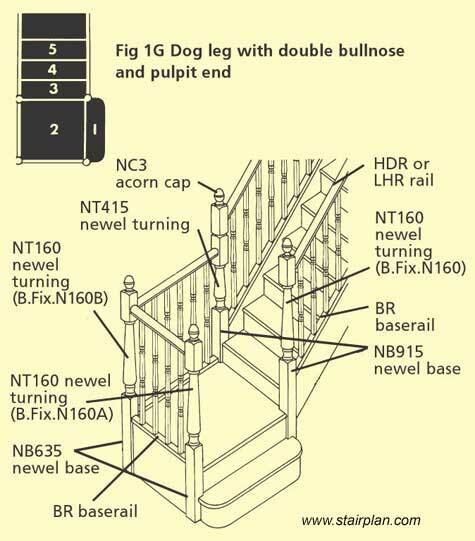 Here you can see the use of the continuous handrail system on a staircase , continuous handrail fittings can give you the look of a traditional staircase but the installation is for a skilled tradesman and not a DIY project. Having a handrail on the outside edge at the bottom of a staircase is aften referred to a a Pulpit detail. Having your handrails fitted Post to Post takes far less time than continuous handrails and is far more economical. Handrails around the outside edge of a stair where a wall would normally be are classed as offside handrails. 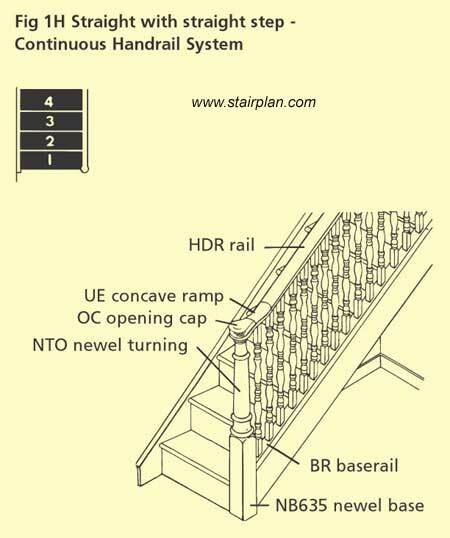 Having a opening cap detail at the bottom of your staircase is a stronger solution than a Vollute and curtail this is on many occasions the only option to add a little detail of continuous handrail at the bottom of a staircase depending on the layout of the staircase. 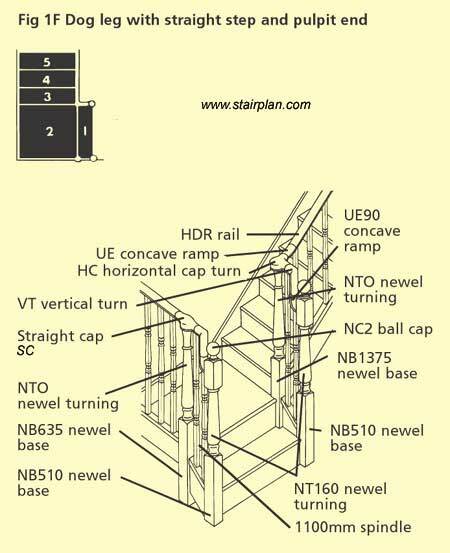 Use these Help Diagrams to assist you in working out the correct stair balustrade parts you require to make over your staircase. 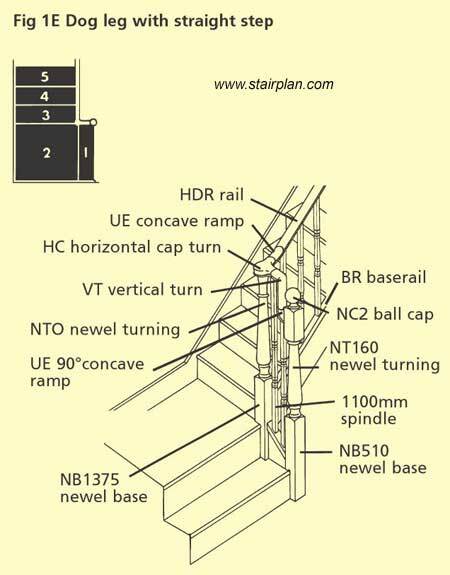 Home | Stairs | Stairparts | Terminology | Workshop |Staircase Plans | Jobs at Stairplan | Visit the Showroom.